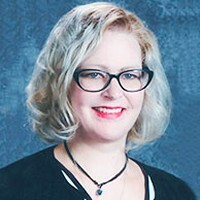 Hoglund, Kathryn Emily Eckblad Age 41, died tragically and unexpectedly on January 1, 2019. Born on May 7, 1977, Kat was a compassionate, caring, and loving wife, mother, daughter, teacher, and friend to anyone who had the joy of meeting her. She was also an exceptional cook, and used her talents to feed the underprivileged in her community. A celebration of her life will be held at Bryn Mawr Presbyterian Church on Friday, January 11th, with visitation at 12 p.m. and a service at 1 p.m. Memorials preferred to the benefit of The Sheridan Story, which supports her mission of caring for hungry children unconditionally. 'Teacher Kat', you will be sorely missed.